häwa GmbH has modified their compact and low-maintenance cooling system KF1000RD. 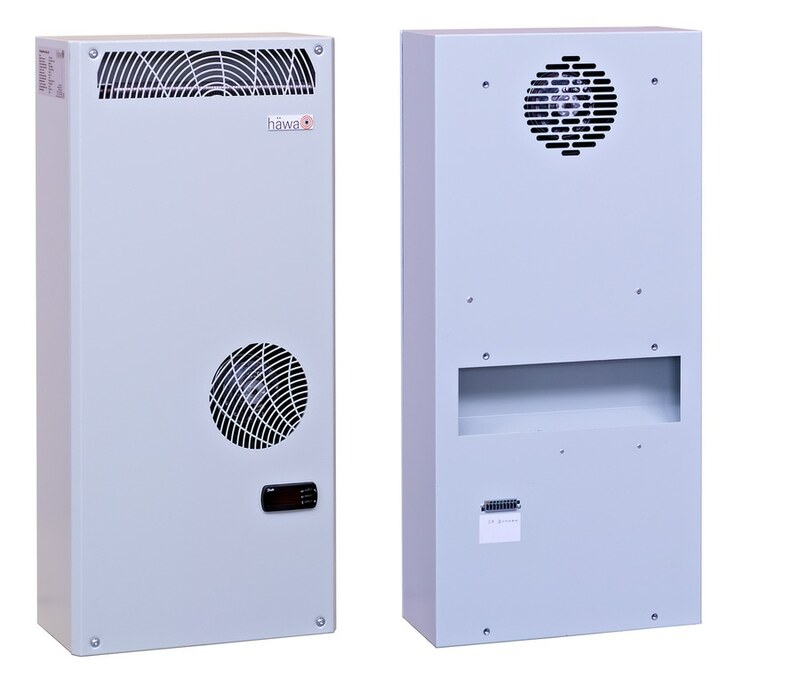 häwa GmbH has modified their compact and low-maintenance cooling system KF1000RD and now offers several voltage variants (115V AC, 230V AC and 400/460V AC) within the same enclosure. This permits worldwide use of the device in the USA as well as in Europe. To mount the air conditioner into or onto a cabinet, only one hole pattern is required for all models. The cooling system with front display for easy control provides an effective cooling capacity of 1,000 W. A compact regulator with display in the front panel ensures easy operation and activates the compressor and the external fan. The internal fan is automatically switched off when the door contact is open. 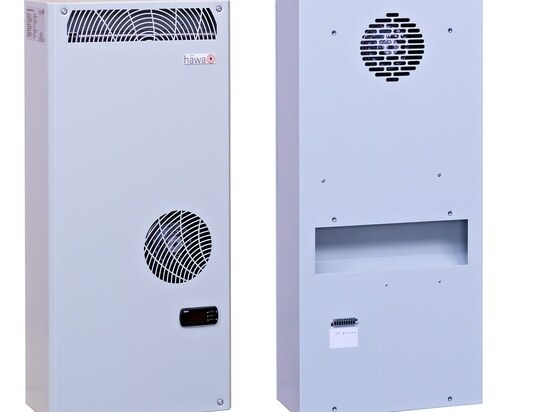 häwa‘s flexible cabinet cooling systems can be used as independent individual devices for ambient temperatures ranging from +20 °C up to +50/+55 °C. They have two separate air circuits sealed to IP 54 equipped with one fan each. 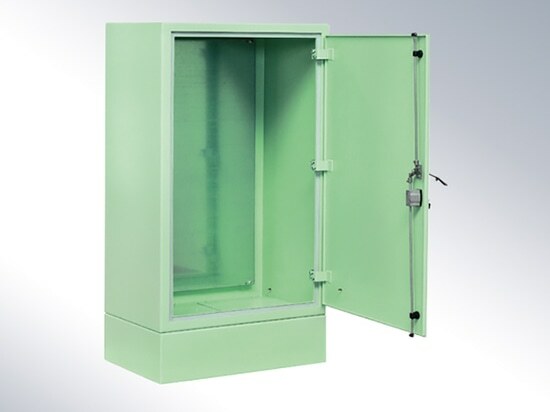 Refrigeration or heat transfer from the interior of the cabinet to the outside is effected via active cooling (cooling unit) permitting the below ambient cooling of the cabinet’s interior temperature. The R134a refrigerant used is ozone friendly and CFC-free. The external fan only runs during cooling operation thus avoiding unnecessary noise and pollution. 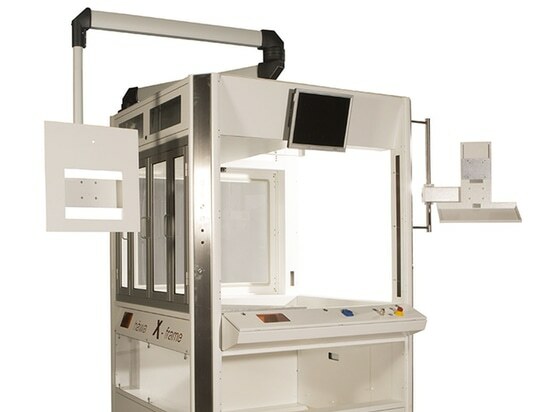 The factory-set internal cabinet temperature of +35 °C can be changed manually at the controller. A separate control line for door switch connected to the plug-in terminal ensures external on/off switching of the unit without disconnection from supply (an optional door contact can be connected setting the cooling system to standby mode when the cabinet door is open). Any condensate that may have formed is evaporated in the external circuit. 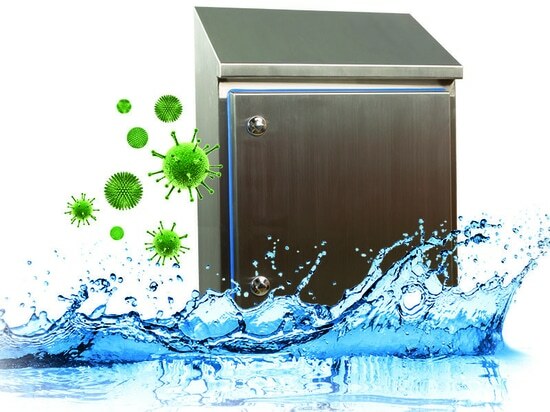 When the cabinet door is open for a longer time or if the level of humidity is high, excessive condensate may form if no door contact switch is used. Excess condensation water is drained through slots provided at the bottom of the cabinet with the help of a discharge hose. Electrical connection is done via a plug on the rear panel of the unit. The mating plug is included in the scope of delivery.